The Department of Anesthesia & Perioperative Medicine, Schulich School of Medicine & Dentistry, London Health Sciences Centre, and St. Joseph’s Health Care London are inviting applications for several full time clinical academic faculty positions in various anesthesia clinical subspecialty areas in our affiliated teaching hospitals. Rank and appointment status (limited term or continuing) will be determined by experience and qualifications at the time of appointment. Candidates must hold an MD or equivalent and be eligible for licensure in the Province of Ontario. Specialist certification in Anesthesiology from the Royal College of Physicians and Surgeons of Canada or equivalent is required. As a clinical academic, the successful candidate will also fulfill the role of educator or researcher, role model and supervisor for our undergraduate medical students, anesthesia residents and clinical/research fellows. Candidates must have demonstrated the ability to collaborate effectively with other members of the health care team and administrative staff. The Department of Anesthesia & Perioperative Medicine is comprised of about 90 Anesthesiologists providing complex high quality patient care in the affiliated hospitals (over 34,000 surgical procedures and 6,000 obstetric deliveries per annum). The Department delivers a full spectrum of medical care from conducting preoperative anesthesia assessment to performing the most advanced life-supporting techniques in all perioperative settings such as ambulatory surgery, subspecialty surgery, transplantation, obstetrics, pediatric care, out-of-OR interventional procedures, acute and chronic pain management, blood conservation management, post-anesthetic care unit, cardiac surgery recovery unit, intensive care units and palliative medicine in acute care. Estimated total remuneration from all sources, including fee for service, will be in the range of $300,000 - $450,000 and commensurate with academic rank, qualifications and experience. The successful candidates will have completed a minimum of a one year Clinical Research Fellowship in their subspecialty area, and will have an academic career plan based on a strong academic background which includes supervision and training of trainees and demonstrated research ability. Ideally, the successful candidate will have a record of proven research ability and productivity and have the ability to act as a research career mentor for trainees. Consideration of applicants will include an assessment of previous performance in teaching and research, qualifications and experience. Candidates that have a demonstrated ability in the identified areas of opportunities will be given priority. Western University provides an outstanding educational experience within a research intensive environment. The University has a full time enrolment of about 34,000 students with a full range of academic and professional programs. 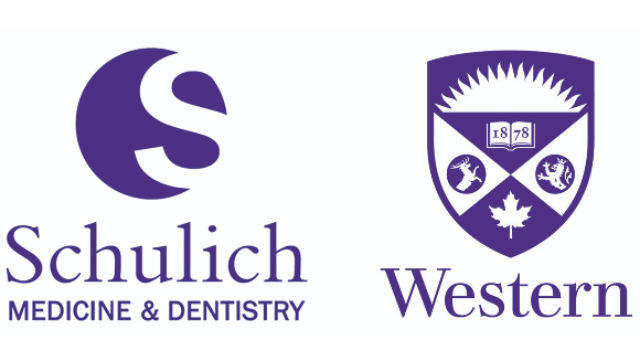 Established in 1881, the Schulich School of Medicine & Dentistry, one of the founding schools of Western University, has educated generations of physicians, dentists, scholars and scientists whose collective work has transformed the practice of medicine and dentistry both nationally and globally. London Health Sciences Centre and St. Joseph’s Health Care London are tertiary healthcare centres serving Southwestern Ontario’s population of close to 2 million. The City of London has a population of approximately 500,000 with a diverse cultural mix, and with the amenities of a big city but with the benefits of a small town. It is a safe and diverse city located in the heart of the beautiful Great Lakes region and is a two hour drive to either Toronto or Detroit. Applications will be accepted until the position is filled. Review of applications will begin January 7, 2019 with an anticipated start date of July 1, 2019 or as negotiated. Accommodations are available for applicants with disabilities throughout the recruitment process. If you require accommodations for interviews or other meetings, please contact Lois Hayter at 519-685-8500 ext.33270.